The addition of The Lighthouse on Devils Island to the selection on my table at local farmers’ markets brings the number of books on that table to four. 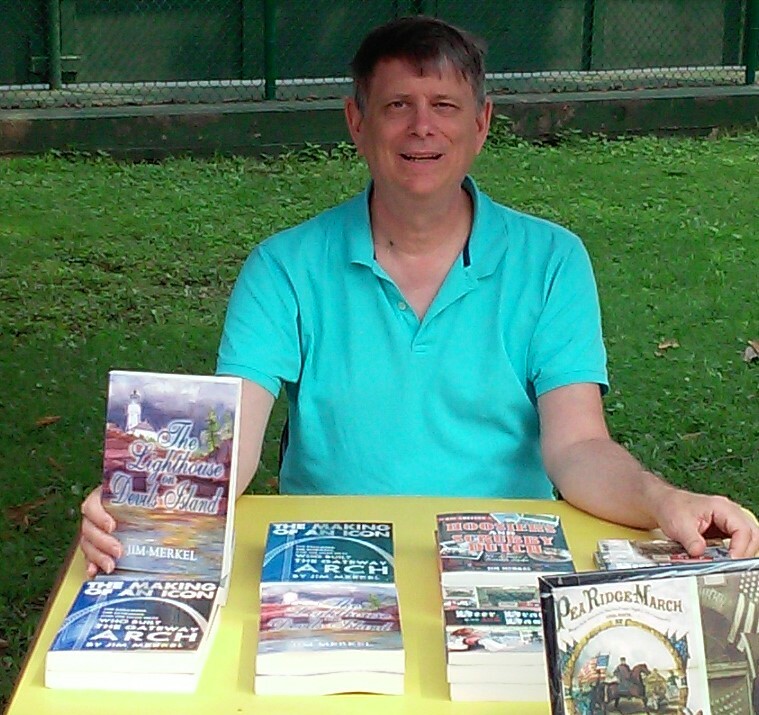 In this photo taken at the very busy Tower Grove Farmers Market Saturday, I’m holding my new novel. 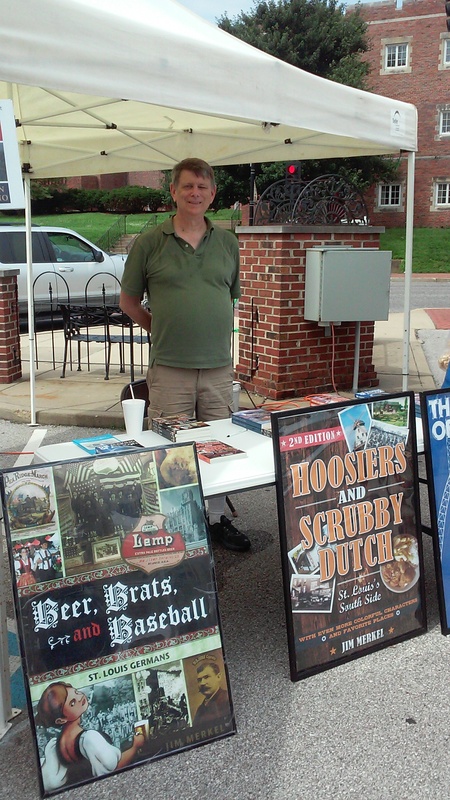 The novel sells for $17.25 (including tax) at those fairs, while Hoosiers and Scrubby Dutch: St. Louis’s South Side, Beer, Brats, and Baseball: St. Louis Germans, and The Making of an Icon: The Dreamers, The Schemers, and The Hard Hats Who Built the Gateway Arch each sell for $21.50. 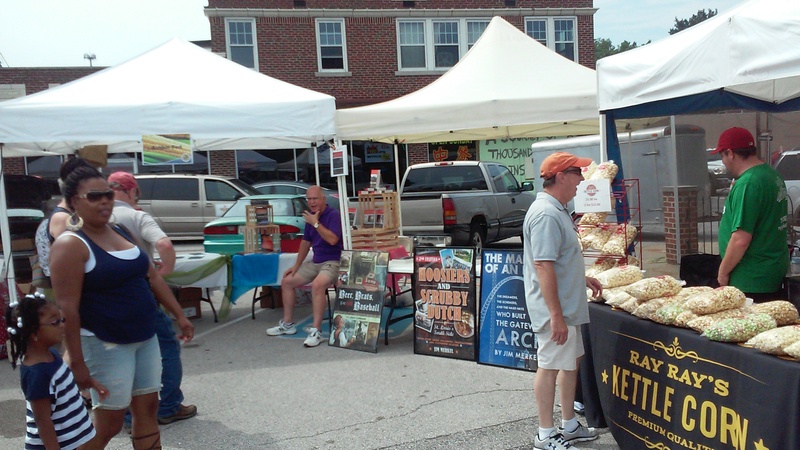 You can buy autographed copies of those books on Saturday at my table at the Ferguson Farmers Market. Or you can send a check for $18.50 for the novel and $21.50 for each of the other books to Jim Merkel, 4216 Osceola St., St. Louis, Mo. 63116. Make the check out to Jim Merkel. You’ll receive your signed copy by mail. They’re also available from Amazon, but why would you want to pay more? 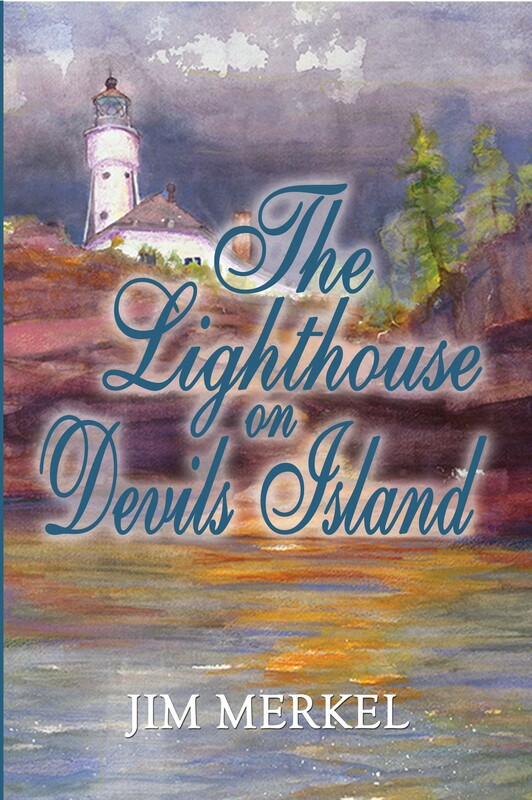 I’ll be promoting my new book The Lighthouse on Devils Island during the Apostle Islands Lighthouse Celebration in Bayfield, Wisconsin at the start of September. On September 2, I’ll do a reading of the book during a boat trip to the real Devils Island Lighthouse, where my story unfolds. To do this at the actual locale is a real thrill. 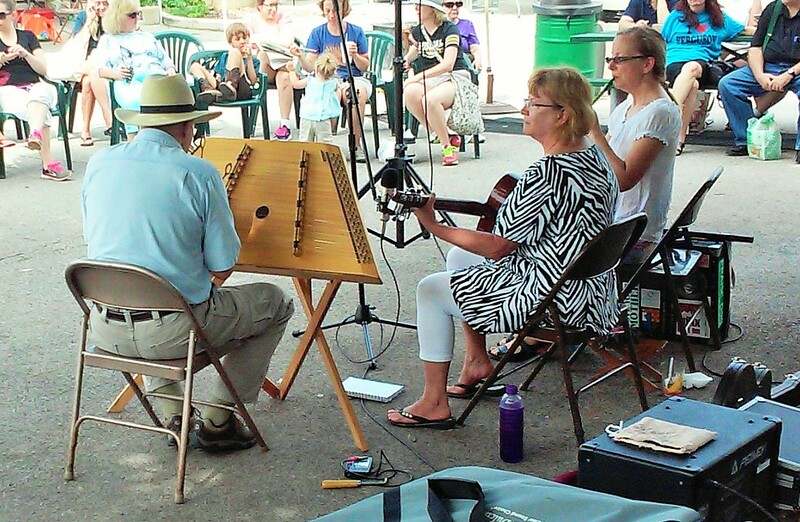 I’ll also do a signing at the Keeper of the Light Giftshop in Bayfield from 11 a.m.-2 p.m. Sept. 5. I’ll be making announcements soon about other appearances. Here’s the website announcements about the events at the Lighthouse Celebration and the Keeper of the Light. You say you can’t make it? Dang. Then send a check for $18.50 made out to Jim Merkel to JCM Press, 4216 Osceola St., St. Louis, MO 63116. It’s on Amazon.com, if you want to pay more. I’m working on getting it in local bookstores. Meanwhile, keep the light burning, as lighthouse keepers say.